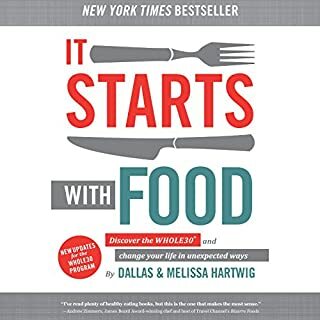 It Starts With Food outlines a clear, balanced, sustainable plan to change the way you eat forever-and transform your life in profound and unexpected ways. Your success story begins with the Whole30®, Dallas and Melissa Hartwig's powerful 30-day nutritional reset. Since 2009, their underground Whole30 program has quietly led tens of thousands of people to weight loss, enhanced quality of life, and a healthier relationship with food-accompanied by stunning health improvements. Super informative and easy to digest! Try this 30-day weight-loss challenge and transform your body! This book explores the phenomenon that is sweeping the nation and lining the counters of home kitchens everywhere. 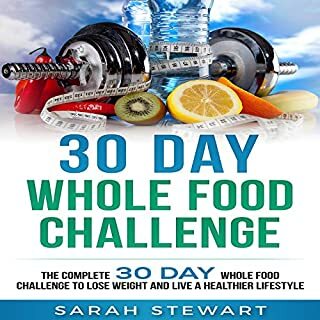 It is the 30 Day Whole Food Challenge. 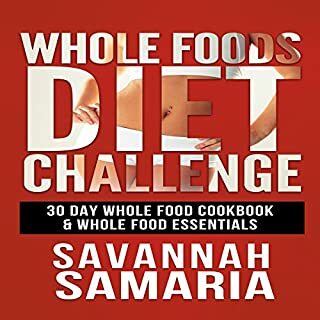 This book will take you from the very idea of whole foods through the completion of the challenge. Our health is better or worse depending on what kind of food we eat. Healthy food makes us healthy, unhealthy food makes us unhealthy. If we concentrate on eating clean, natural, healthy foods, we will have more energy, sleep better, improve athletic performance, be happier, and even have fewer cravings for unhealthy foods. Many people reported physically glowing as well, their friends and family noticing the differences almost as immediately as they themselves did. Food Freedom Forever shows you how to design your reset, making your short-term protocol maximally effective. You'll learn how to spot your specific triggers before they're pulled and strategies for dealing with temptation, strengthening your new healthy habits, and boosting your willpower. 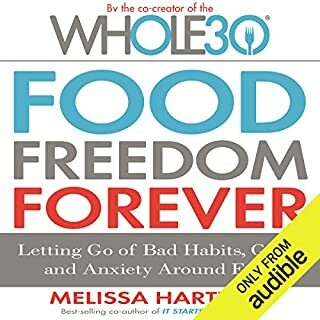 Melissa also shares advice for retaining your food freedom during holidays, vacations, periods of life stress, social pressure, and criticism from friends and family. 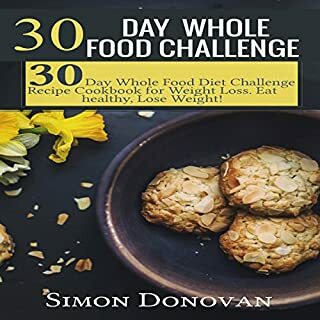 Diet Challenge Recipe Cookbook for Weight Loss: Eat Healthy, Lose Weight! Use these guidelines for super healthy whole foods and start treating your body how it deserves today! Nature gifted us her most valuable resources and we should value them as they are, without trying to transform them. For many years, humans lived on the natural nutrients that nature provides us with, but unfortunately, in the last century food experiments were conducted and implemented to produce crazy amounts of food. Are you struggling to lose weight? Do you not feel as healthy as you would like, or do you not feel energetic? If so, you are not alone. Many Americans are struggling with this same problem, but by coming this far, you are well on your way to achieving your goals. Not only that, I have the perfect solution for you: whole foods. These recipes are nutritious and excellent for the body. Eating properly will help you to lose weight. You will feel more energized, look better, and, most importantly, feel amazing! Note: This book is not authored by Dallas and Melissa Hartwig. 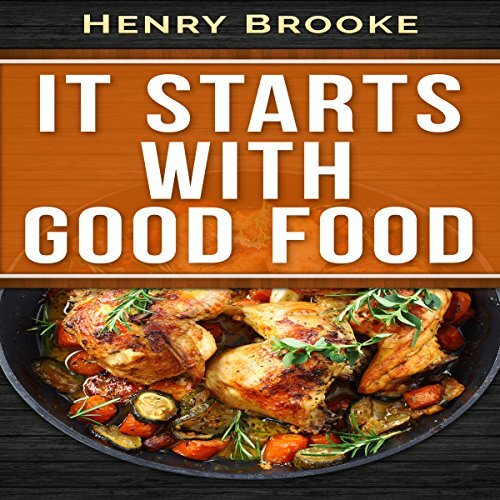 This cookbook is authored by Henry Brooke Publishing and the recipes it includes were created based on food choices recommended in It Starts with Food. This book has proven recipes guaranteed to help you lose weight fast! We all know how busy life gets. Now, add trying to figure out what you need to eat to lose weight to the list of unnecessary things you no longer need to do. This diet approach, combined with the right exercises, is all you need to lose weight and reset your metabolism. Fancy meal plans, Fitbits, and calorie counting apps are not needed. You can save money on these, throw out your gym membership, and still get the results you want. What if I told you there is a faster way to lose weight and prime your metabolism? Have you ever wanted to kick-start fat loss for a special event or lose those extra 10 pounds? What if you could eat amazing food and still get the results you've been craving? What if you had a yummy meal plan and the top exercise tips at your disposal? 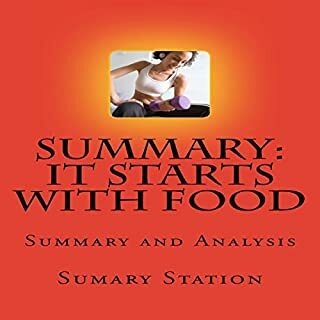 This book explores a world where you can get the results you've always wanted; all you need is the It Starts with Good Food Cookbook! My goal is to give you the tools to lose weight fast and reset your metabolism in as little as 30 days by sharing the secrets to unlocking weight loss using the It Starts with Good Food Cookbook to get the exact results you want!